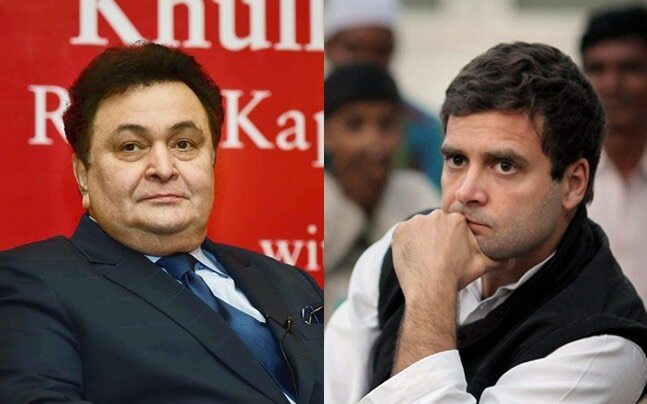 Actor Rishi Kapoor has been in the limelight for his sensational tweets. Recently, the actor made a comparison between Gandhi family (Jawaharlal Nehru, Indira Gandhi, Rajeev Gandhi and Rahul Gandhi) and Kapoor family (Prithviraj Kapoor, Raj Kapoor, Randhir Kapoor and Ranbir Kapoor). In all modesty,four generations of actors Prithviraj Kapoor, Raj Kapoor,Randhir Kapoor,Ranbir Kapoor. And four generations of the President of the Congress Party. Jawaharlal Nehru, Indira Gandhi, Rajeev Gandhi,Rahul Gandhi. Only in India ?? You guys have entertained us . If one of you would have failed it would effect him and people associated but in politics the nation suffers. Imagine @OfficeOfRG as PM. It would be catastrophic for the nation. And that is what being conveyed in tweet by Mr. Kapoor. They have ruled like 60 years of existence of this nation with tax money of people whatever hospitals universities etc is made only people of India are to be congratulated and no one else. Whatever good they do they'll remain a Dynasty, deal with it. Sir please dont compare .rahul gandhu with RANBIR ..